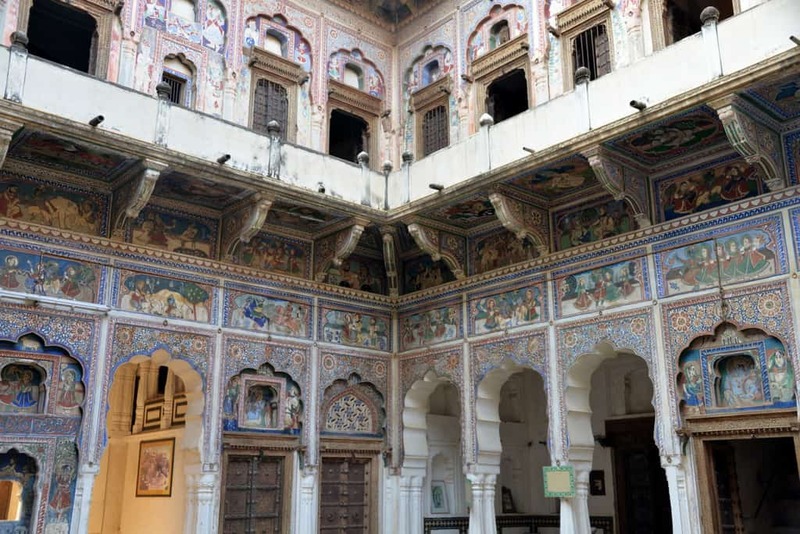 Shekhawati Region of Rajasthan is known for its magnificent fresco painted Haveli’s. 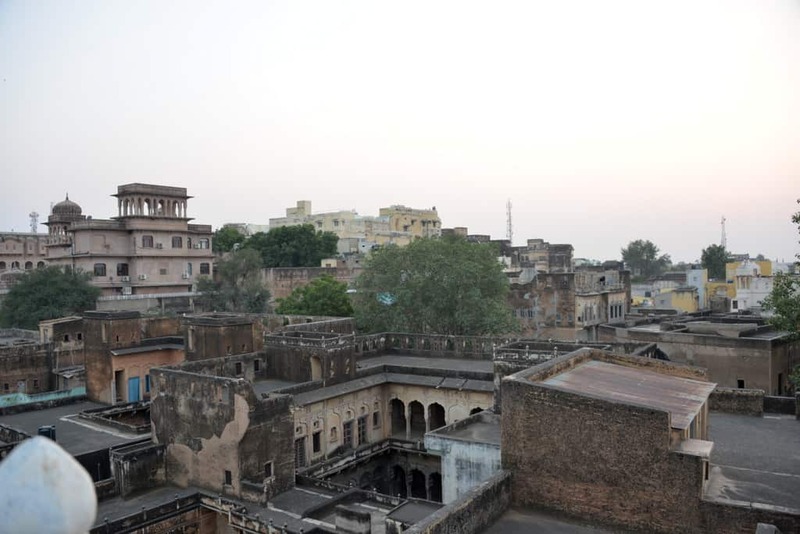 Typically made with a central courtyard “aangan” it has rooms on all sides and are generally 1 to 2 stories high. 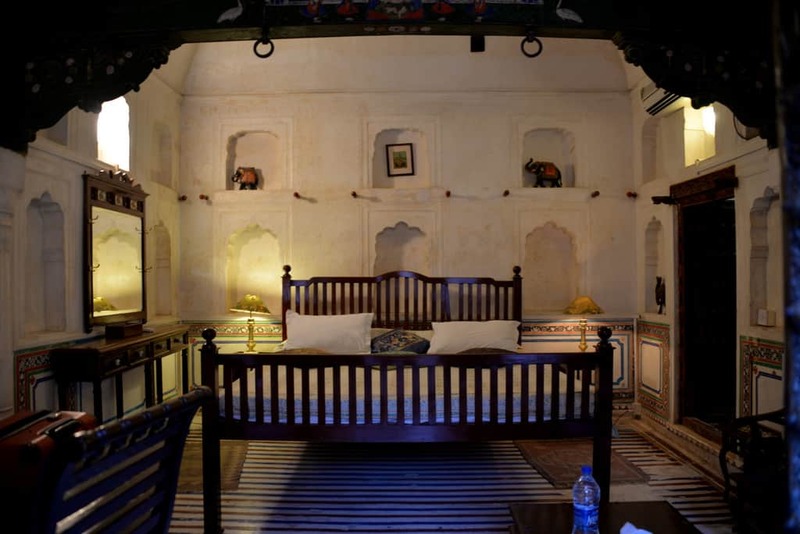 If you are visiting the region, its best to soak in this historical culture and choose one of these for you stay. 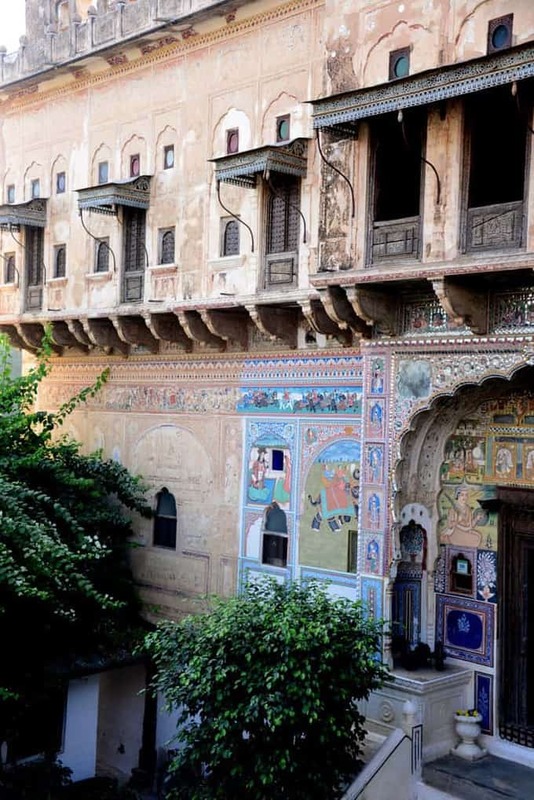 We stayed in Mandawa Haveli, one of the most known and very well restored havelis in this region. 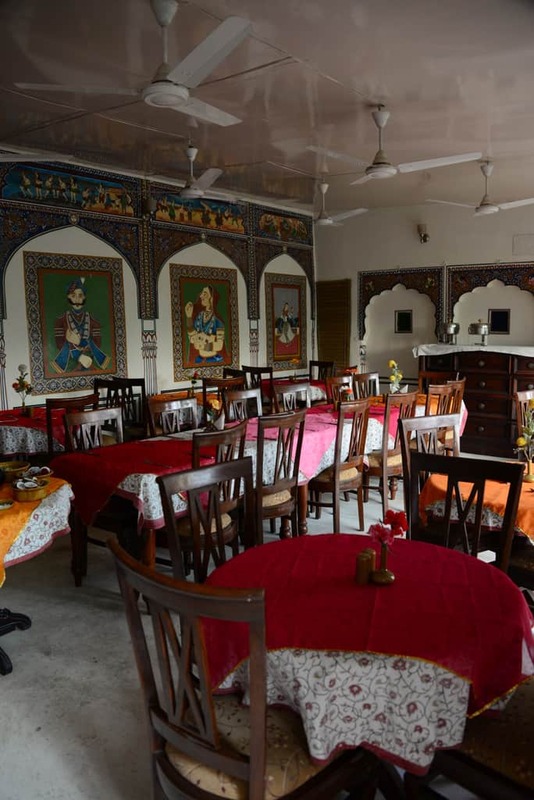 The location of the Haveli is within the main market of Mandawa and is pretty easy to find. 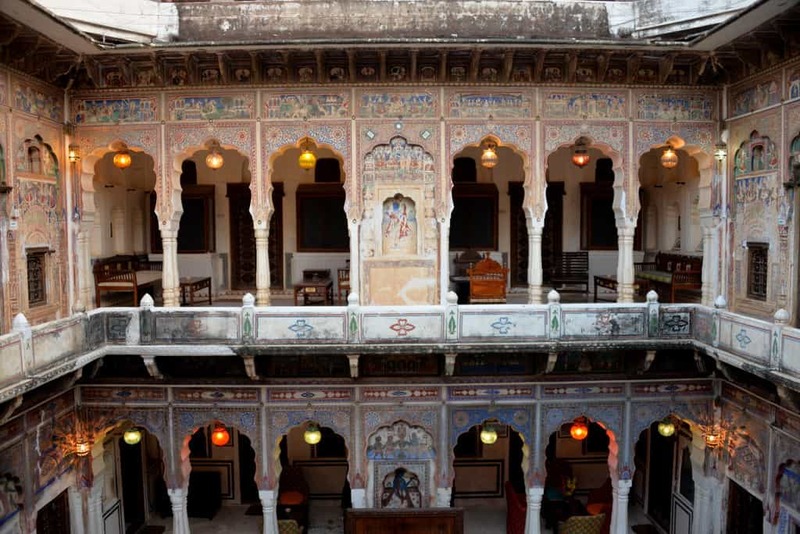 This haveli has been restored to keep its old world charm and sports spacious rooms and three restaurants. 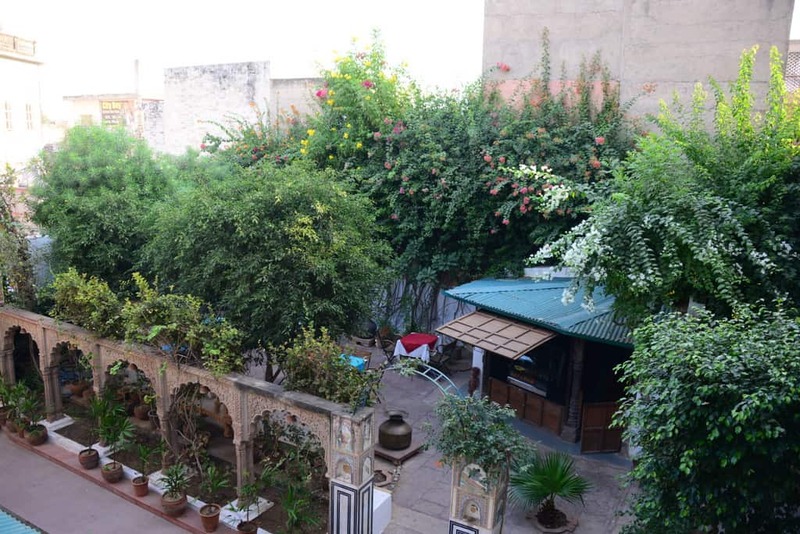 An initial staircase leads to the main courtyard which is decorated beautifully, you can enjoy some time in the sit out region with a cup of tea or coffee. 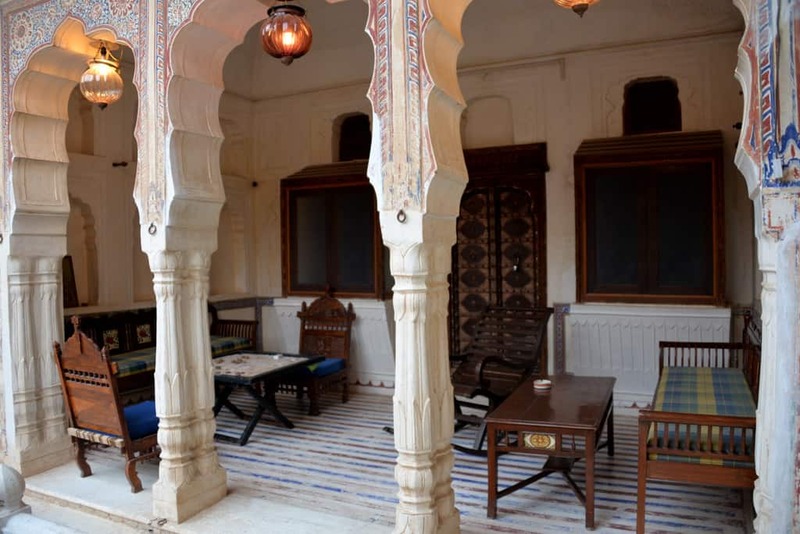 A narrow staircase leads to the first floor and next on to the terrace. 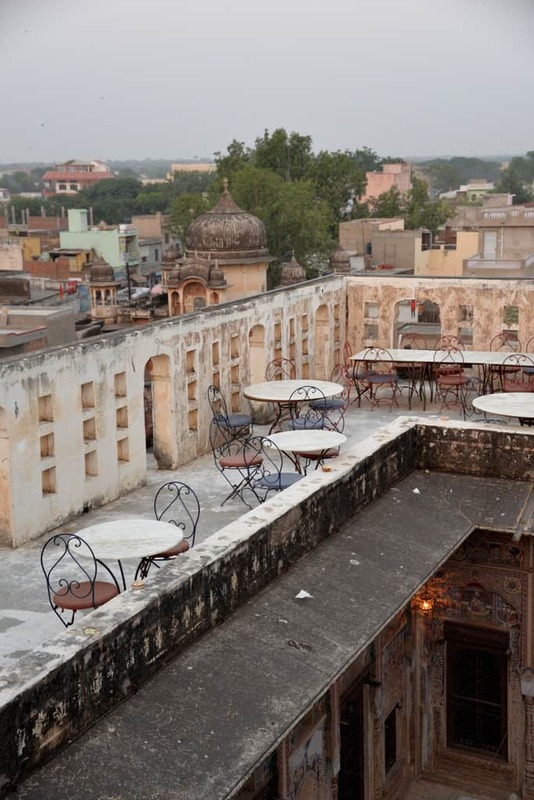 The terrace has one of the restaurants and we enjoyed our dinner looking over the city under the stars. 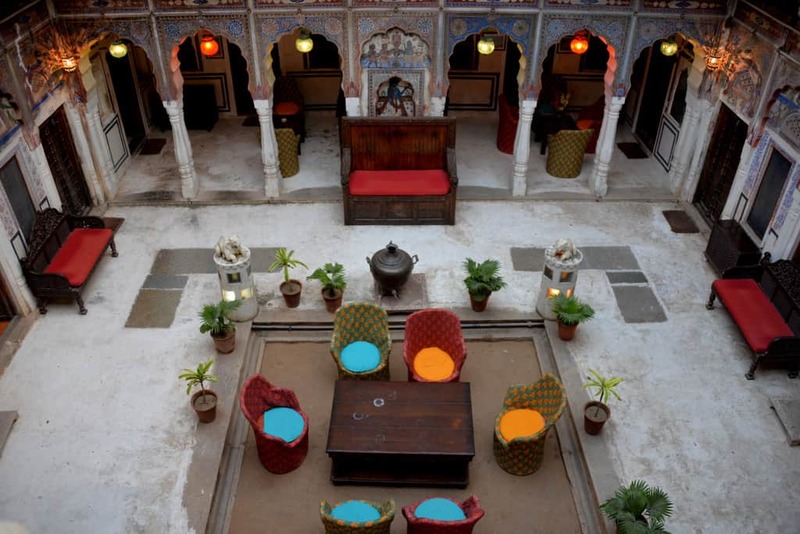 Haveli is charmingly lit in the night and the dinner was served in candle lights with an excellent service. On a busy night they also arrange for some local song and dance performance, which we missed. We spent a relaxing night in our room. 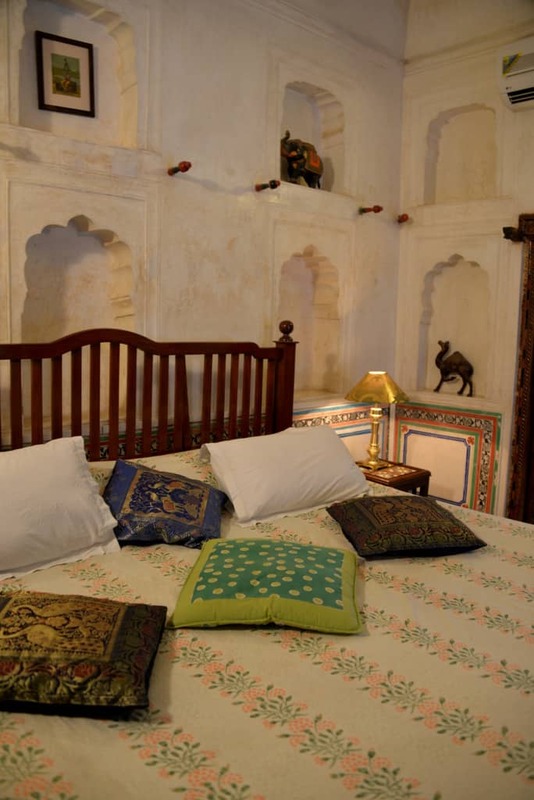 The rooms however restored to keep the old world charm, have all the modern amenities with a clean and luxurious bathroom. In the morning we had a continental/ Indian breakfast in the restaurant downstairs (just above the reception). The staff was very courteous and aware of our needs and gave us enough personal space.